Hi everyone! I hope you have all had a great holiday! Sorry for the silence lately. I have been busy working on samples with new some new product. I can't wait to share them all with you over the next few weeks! This week though, I still have a few random projects from the Holiday Catalog that I want to share with you. Remember that the Holiday Catalog is only good for another week, so now is you chance to get something you've been wanting! Remember the Gratitude for Days Boxes I made??? Once I was finished I had a ton of leftover piece from the Gratitude for Days Kit that were too good to waste. 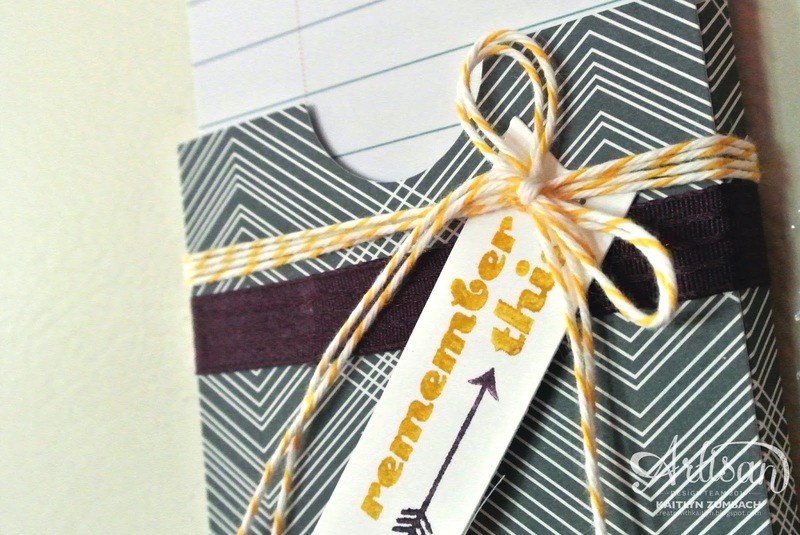 So I used one of the pockets to make this cute little reminder note pad. I just added more score lines next to the ones already there so it would be about 1/4" thick to hold multiple note cards. 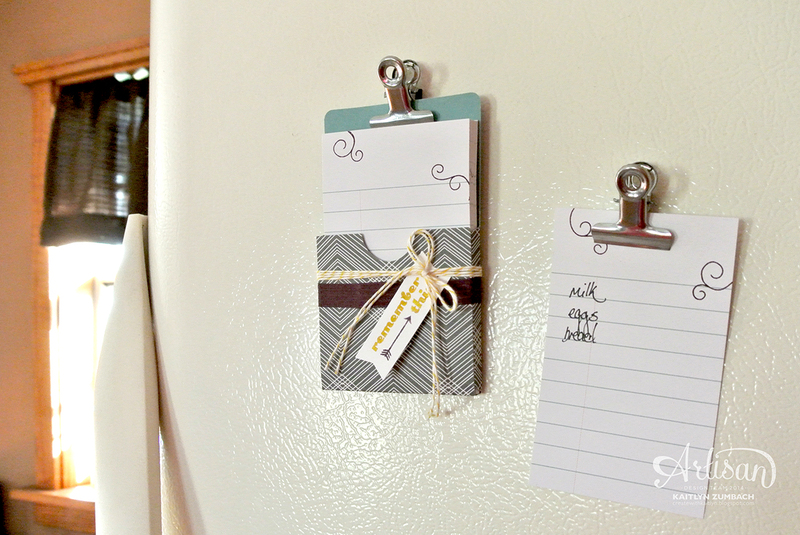 The clips included in the kit are perfect for hanging up the pocket and a note card that is currently being written on. 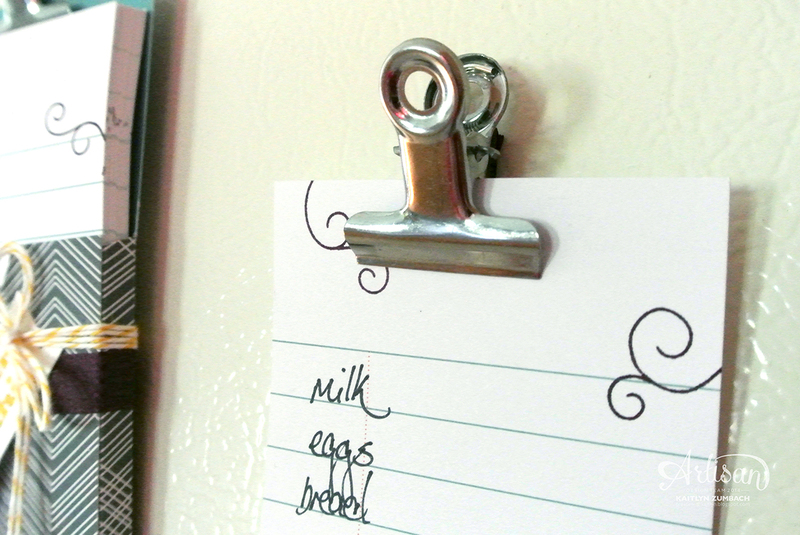 I attached some magnets to the back with Crystal Effects to hang on our fridge and it is great for making a list of groceries needed! Just a little bit of Crushed Curry Baker's Twine and Blackberry Bliss Ribbon make the pocket extra cute. I thought that the stamp from the Remember This Project Life stamp set was ideal for its purpose!